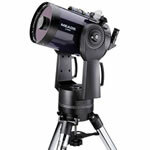 Meade LX90-SC 10 inch Go-to altazimuth Schmidt-Cassegrain Telescope. 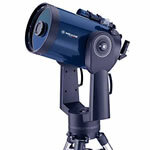 It includes a GPS receiver and an AudioStar computer that takes the guesswork out of finding your way around the skies. 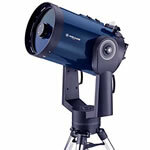 Meade 1210-90-05, 12" LX90-SC is a very large aperture telescope. 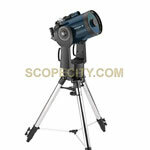 It is a great choice for both the serious amateur astronomer and the school or college observatory.